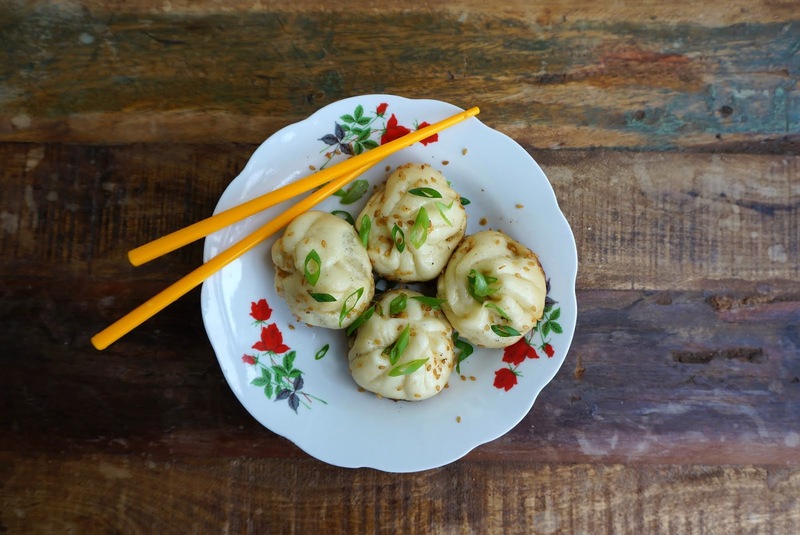 This is a delicious Pan-Fried Meat Bun recipe for all you meat-lovers out there. These buns are soft, the meat filling is succulent & juicy, the bottom of the buns are brown and toasty. It is perfect for a simple breakfast, lunch, or as snacks. This Kuih Ketayap crêpe is made with Japanese pumpkin, instead of Pandan infused flavoured. 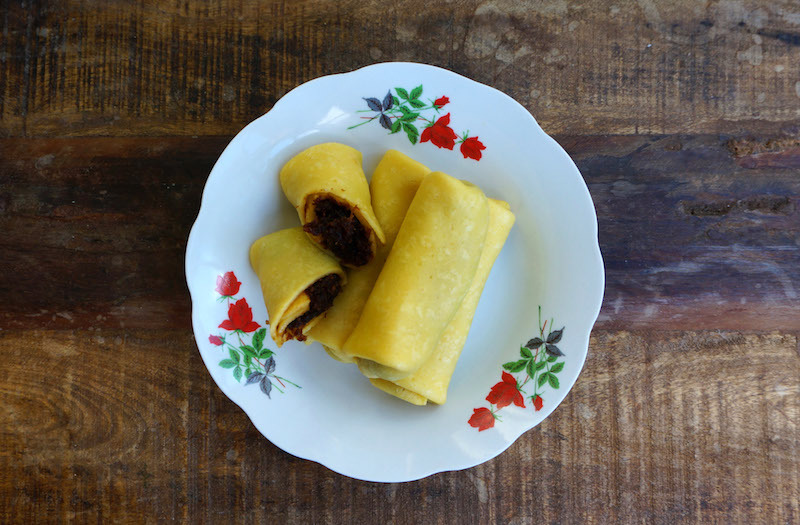 They are wrapped with sweet coconut filling, made from grated coconut, and cooked in palm sugar. It's a simple snack, and yet they are very delicious. 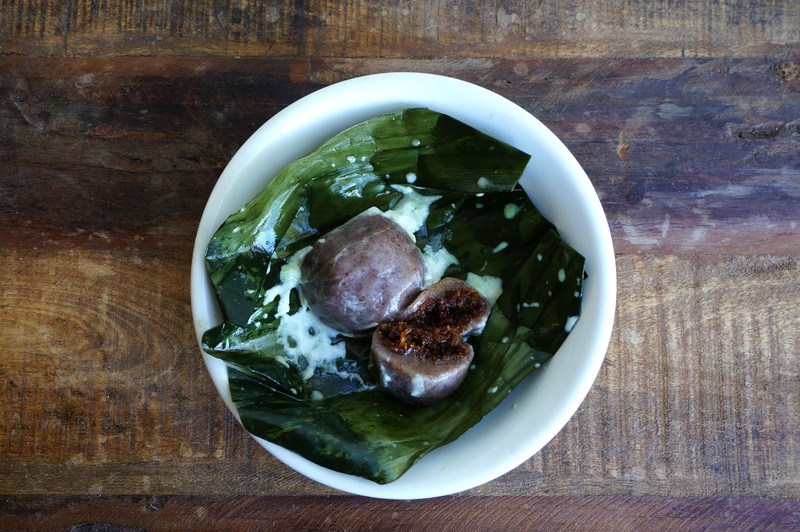 Kuih Koci is a traditional kuih (dumpling) in Malaysia, and can be found across Southeast Asia with different names. They are made with white glutinous flour: infused with Pandan juice or a combination of both black and white glutinous rice flour. The dough is stuffed with coconut filling, cooked in palm sugar (aka. Gula Jawa or Melaka). The result is a sweet and delicious snack that can be served at anytime. 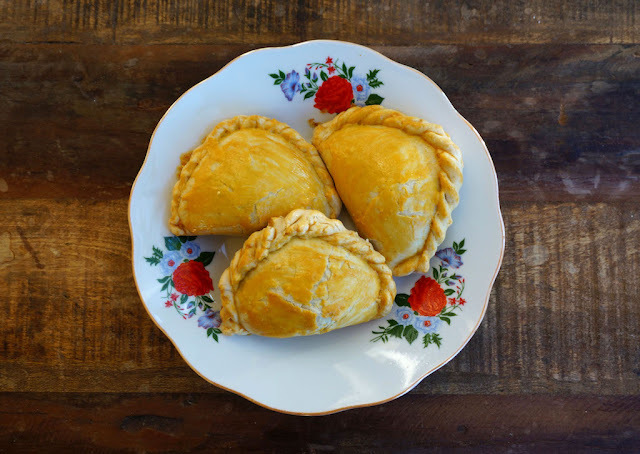 This is a traditional-style Kaya Puff, or Kaya Kok, made with pure lard and filled with homemade coconut jam (kaya). 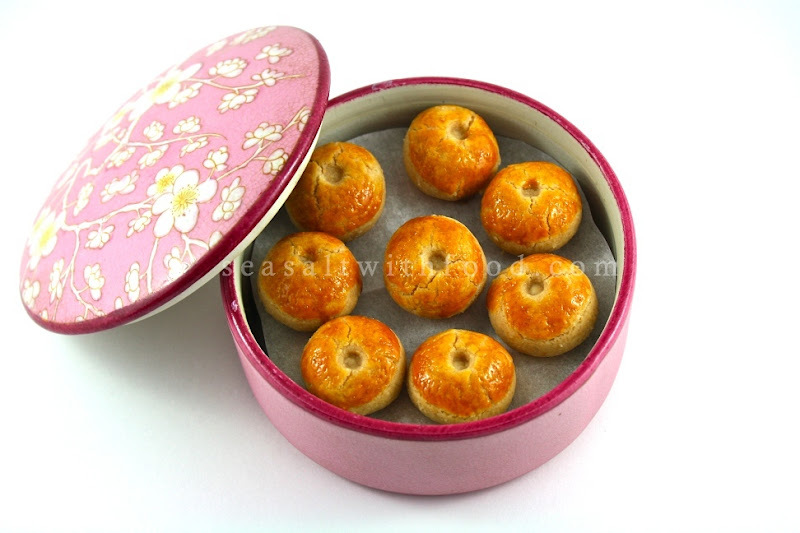 It's a popular Chinese snack in Malaysia and one of my childhood favourites as well. If you're not keen on lard, substitute it with either vegetable or peanut oil, or a combination of soften butter and oil. You can also find the Kaya (Coconut Jam) recipe link in the ingredients list. I hope you’ll give this classic, delicious snack a try! Thank you for all of your continous support and kind comments! 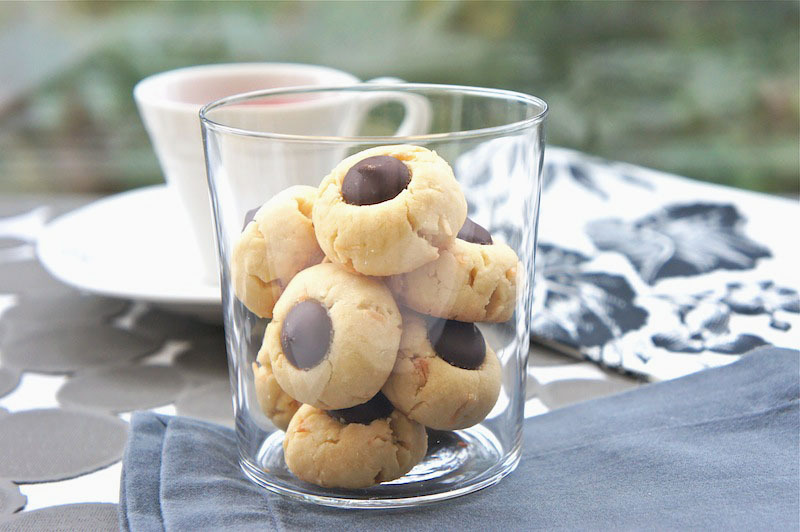 I think Peanut Cookies must be one of the easiest cookies to make. All you need is roasted peanuts, sugar, flour, peanut oil, a pinch of salt, and a couple of egg yolks to glaze the cookies. Sounds simple, right? Well, it is and I do hope you will give this recipe a try.